Production Global Components Oberhaching bei München and assembly Ingolstadt Germany. (yyyy/mm/dd) Milestone with short description and link to reference if possible. 2008/09/30 3000 units were made available for pre-order, resulting in server overload and crashes. 2008/09/ Within first few days pre-order extended to 4000 units. The first mention of this (that I have found so far) is in a post by Chip. 2009 Pre-ordering re-opened to fill places freed up after the great banking event. Only cash/bank transfer payments were accepted, no credit payments. 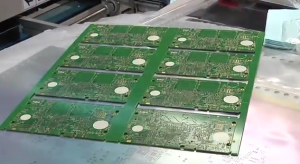 2009 Populated PCBs shown off. Helpers on the production line seem to have been paid in pandora, first one here. By June 25th, the parts which arrived in the first shipment were exhausted, with approximately 400 shipped to GBAX customers, and 200 to EvilDragon's customers in mainland Europe. These shipments went to people who pre-ordered in the first 1.5 hours (roughly). Some 50 odd units shipped with only one fully working nub (to pre-orderers who choose to take one in order to skip the queue). Of these, 5 were left over that nobody had chosen to take and auctioned on eBay by Craig for £279.99. There were an additional 7 units with both nubs not fully functional. These were offered at £150.00 on the boards and seem all to have sold at that price. The highest price on eBay for one of the first ~600 units was ~$1600??? 2010/06/01 2nd Batch Pre-order emails start to be sent out. 2nd batch is priced at £279.99/340 EUR (includes VAT) or $349. Ordering from the 2nd batch is offered as a way of getting a Pandora before Christmas, the shipment of the first 4000 predicted to complete around October 2010 with a continuous progression into the 2nd batch at this point. 2010/07 Production is stalled to help prevent building more units with faulty nubs. See the "Nubs" page for details. Along with a few more one-nub units, these are the first units to ship since the nub tolerance problems were identified and the factory re-supplied with 100% tested nubs. (requiring some previously 'ready to ship' boards to be re-worked) This small shipment was used for approval before any more populated boards were shipped from the factory. 2010/09/20 100 scheduled to ship, taking production past the 1000 mark. These are still using nubs from the 1st production run, tested to select good ones. New prototype nubs are still in final testing. Since 150 of these shipped out of sequence (with faults), this equates to roughly 600 in the GBAX queue, and an hour into pre-ordering. 2010/10/06 2000 cases arrive in the UK. This allows first phase assembly to re-commence (displays in lids, etc). Still waiting for updated nubs to be prototyped and produced (although populated PCBs are waiting). These are the first boards produced after production was halted whilst the nubs were improved and re-designed. 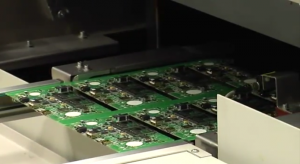 PCB production has continued with at least another 400 ready to be shipped from Texas. 2011/01/07 400-550 units shipped to customers this week. 2011/07/19 Last known arrival of a circuit co Pandora in germany. 2011/08/26 Pandora production is in the process of being moved to Germany. 1200 preorders remain to be shipped (800 from Craig's queue, 500 from EvilDragon's). 2012/02/28 First Pandora scam site found. 2012/03/29 2nd day preorders completely sent to EDs customers? First 3rd day (2008/10/02) preorder received pandora. 2012/05/07 First 6th day (2008/10/05) preorder received pandora. 2012/06/12 First 2009 order seen received. 2012/08 1GHz is out at 666€. 2012/08/24 Approx. 75 remaining preorders in EDs batch 1 queue. 2012/12/10 Approx. 34 remaining preorders in EDs batch 1 queue. 116 preorders (150-34) in batch 2 queue. 2012/12 1GHz price is lowered to around 550€ for christmas. 2013/01/12 ED announced all batch 1 preorders of the gp2x.de shop are ready for delivery. With 500 units it is 400 Pandoras more than expected. 2013/09/30 1GHz price is cut to 499€ for the the five-year-preorder birthday. 2014/05/11 ED states that no more than about 200 pandoras are still available. 2014/05/16 ED states that there are still 397 remaining pre-orders of Craig. 2014/05/30 ED states that the final batch of 300 Pandoras is in production. 2014/29/july EvilDragon: I'm getting the final 91 1GHz Pandoras from GC today... EvilDragon: Feels surreal. EvilDragon: Well, there'll be 100 or so Rebirth coming... but that's it. EvilDragon: Then it's only Classics and preowned ones from updates. 2014/08/20 ED states that there are only about 60 1GHz Pandoras left. On September 30, 2008, 3000 units were made available for pre-order. Later on, this number was increased to 4000. The release of the Pandora was delayed several times until May 2010, when mass production and shipping of the Pandora began. A Production Timeline page describes the process. During fulfillment of the first batch, a limited but unspecified number of "Instant" Pandoras were made available at $500 and promised to be shipped in 7 days . This has since become the only way of purchasing a Pandora, though the the 7-day Guarantee had applied. Instant was officially closed in August of 2011 as it was apparent Circuitco was not producing anymore boards. EvilDragon announced in the same month that a new pre-order system has been setup while all resources are being transfer to Germany for production there. The newer Pandoras will feature a greater RAM size and a more sturdy case. Note: With the new production line in Germany, 256MB RAM modules have become unavailable in the recent time frame. All new Pandoras being/have been produced contain now contain a 512MB RAM module. 256MB (Ciruitco model) or 512MB (Germany Model) DDR SDRAM in consumer units (early developer units had 128MB). A detailed economic history of the project from August 2011 until December 2012 is contained in this post by Michael Mrozek (EvilDragon). This page was last edited on 21 August 2014, at 23:42.